English anthropologist Andrew Bankson has been alone in the field for several years, studying the Kiona river tribe in the Territory of New Guinea. Haunted by the memory of his brothers' deaths and increasingly frustrated and isolated by his research, Bankson is on the verge of suicide when a chance encounter with colleagues, the controversial Nell Stone and her wry and mercurial Australian husband Fen, pulls him back from the brink. Nell and Fen have just fled the bloodthirsty Mumbanyo and, in spite of Nell's poor health, are hungry for a new discovery. When Bankson finds them a new tribe nearby, the artistic, female-dominated Tam, he ignites an intellectual and romantic firestorm between the three of them that burns out of anyone's control. Set between two World Wars and inspired by events in the life of revolutionary anthropologist Margaret Mead, Euphoria is an enthralling story of passion, possession, exploration, and sacrifice from accomplished author Lily King. Set against the lush tropical landscape of 1930s New Guinea, this novel charts British anthropologist Andrew Bankson's fascination for colleagues Nell Stone and her husband, Fen, a fascination that turns deadly. How far does the setting play a role in shaping events? Is there a sense that the three have created their own small universe on the banks of the Sepik River, far removed from the Western world? If so, by whose rules are they playing? Now that we've got that out of the way I want to suggest you ignore other professional reviews of Lily King's Euphoria, at least until after you've read the book yourself. Don't get me wrong. There are no spoilers. 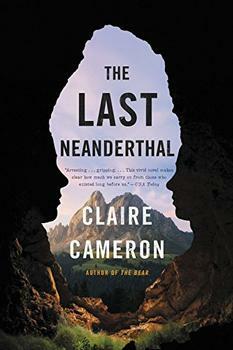 But, had I read the reviews, I might have been turned off of this terrific novel about three scientists studying indigenous New Guinea tribes at the height of anthropology's golden age, the early 1930s. Here's the thing. Most of the reviews I've read (post book) wax on and on about famed anthropologist Margaret Mead and how much research King did in order to write the novel. This book is too fine to place so much emphasis on research, and for me, it is even misleading. (Reviewed by Donna Chavez). Set between the First and Second World Wars, the story is loosely based on events in the life of Margaret Mead...This is a powerful story, at once gritty, sensuous, and captivating. [It's] refreshing to see the world’s most famous anthropologist brought down to human scale and placed at the center of this svelte new book by Lily King. King is brilliant on the moral contradictions that propelled anthropological encounters with remote tribes… In King’s exquisite book, desire—for knowledge, fame, another person—is only fleetingly rewarded. This is a riveting and provocative novel, absolutely first-rate. Thrilling... intense, seductive, sexual, and intellectual... There are so many exhilarating elements to savor... By the end of Euphoria, this reader sighed with wistful satisfaction, wishing the book would go on. Brava to Lily King. Starred Review. The love lives and expeditions of controversial anthropologists Margaret Mead, Reo Fortune, and Gregory Bateson are fictionalized and richly reimagined in New England Book Award winner King's (Father of the Rain) meaty and entrancing fourth book. Starred Review. Atmospheric...A small gem, disturbing and haunting. Starred Review. This three-way relationship is complex and involving, but even more fascinating is the depiction of three anthropologists with three entirely diverse ways of studying another culture. It is simply one of the finest novels I've read in years, and it puts Lily King firmly in the top rank of our most accomplished novelists. With Euphoria, Lily King gives us a searing and absolutely mesmerizing glimpse into 1930's New Guinea, a world as savage and fascinating as Conrad's Heart of Darkness, where obsessions rise to a feverish pitch, and three dangerously entangled anthropologists will never be the same again. Jaw-droppingly, heart-stoppingly beautiful. I loved this book. Nell Stone, anthropologist in Lily King's Euphoria, notices the Hawthorne Effect in her work. What is this? Where did it originate? In the 1920s and 1930s, the Western Electric Company's management wanted to improve production at their Hawthorne Plant on the outskirts of Chicago, Illinois. So they hired Elton Mayo, a consultant or "efficiency expert," to conduct some experiments, record his observations and then recommend a course of action that would boost output on the company's telephone parts assembly line. 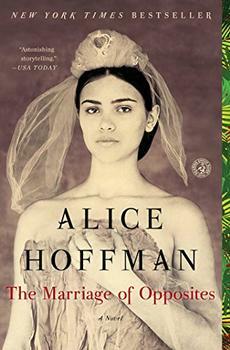 A forbidden love story set on the tropical island of St. Thomas, about the extraordinary woman who gave birth to painter Camille Pissarro - the Father of Impressionism.